If you’re looking for authentic Vietnamese food, NamNam Noodle Bar might be just the place to go. NamNam Noodle Bar is a causal Vietnamese eatery that serves classic Vietnamese street food such as Pho and Banh Mi. So when I chanced upon the noodle bar, I just had to try their Pho. It did not taste exactly like the Pho I had in Vietnam – I found it to be a little more strongly seasoned. However, it was still delicious and worth it for the price paid. 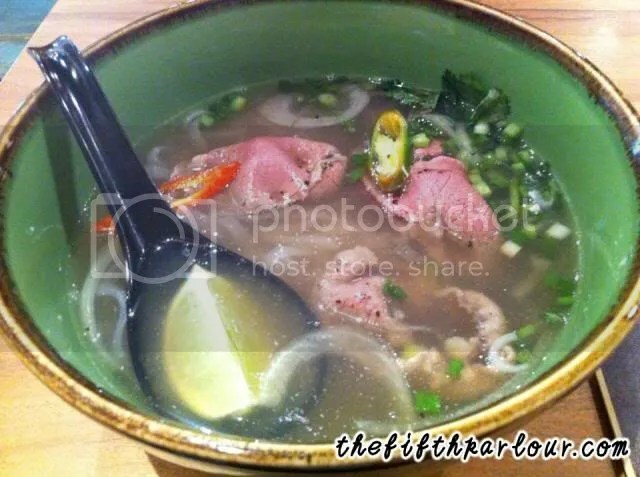 A bowl of Pho beef Steak: $8.90. It took about 5 minutes after placing order and making payment that the food was served to our table. My friend and myself were surprised by the speed with which it was served. We’re not sure about the waiting time for people who order the other though, as my friend and myself both got their Pho! Overall, I liked the NamNam Noodle Bar. 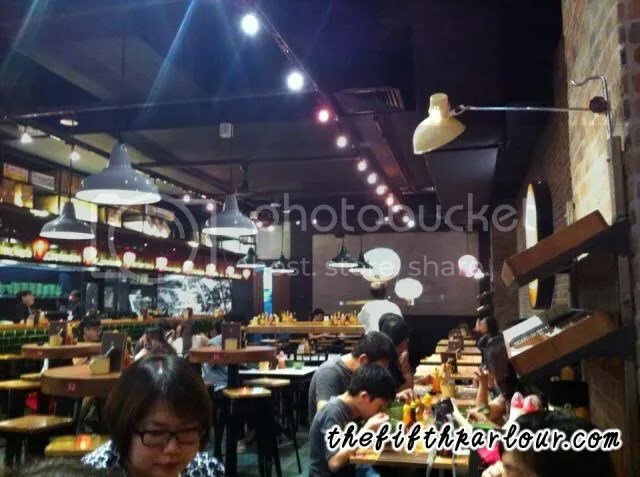 The ambiance of the eatery was good and the dim lighting made it a comfortable place to hang out. Although I only tried their Pho, I glanced through their menu and the prices of the other food were as affordable. Next time when I visit the noodle bar, I’d try their iced coffee as I heard a few of my friends saying that its good!